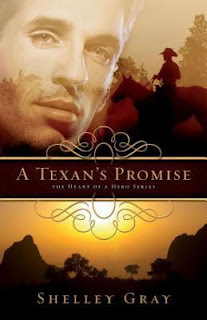 A Texan's Promise by Shelley Gray: A Story With Cowboys and Romance! I'll be the first to admit that I'm not the world's biggest Amish fiction fan but I thoroughly enjoy each of Shelley Gray's Plain stories. When I learned that she was writing and historical western series I knew I had to read it. The first book, A Texan's Promise did not disappoint. Ms. Gray's stories are traditional but in the best sense. In A Texan's Promise she takes the damsel in distress plot and adds a bit of faith and hope in the mix and the result is a finely told love story for any reader's keeper shelf. From the very first page I can almost guarantee you will be hooked. The chemistry between Vanessa and Clayton is terrific. In spite of the unthinkable circumstance that led them away from the Circle Z Ranch I loved the way that their romance developed--slowly and tenderly. I was slightly frustrated by Clay's actions midway through the book but what is a romance without a man getting some fool notion in his head now and then? Linda has been contacted and has claimed her prize. If you didn't win this time don't worry there will be more giveaways soon! Recently it seems as though a theme has come up in my watching and reading habits. I realized last night after I finished reading Cascade (Book 2 in the River of Time series by Lisa Bergren) that I *might* be a bit obsessed with time travel--but for good reason. Time travel is simply fascinating! It's so complex, I can't even begin to understand the "science" behind it but wanting to go back in time is probably something we all wish we could do. How many times have you thought about stopping yourself from wearing those bell bottoms in 1998 or reuniting with a deceased loved one? LAURA V. HILTON held the finish line ribbon firmly in hand! CONGRATULATIONS, LAURA! I know, I know I already posted a movie trailer this week but I couldn't help myself from posting this trailer for The Vow starring Channing Tatum (Dear John) and Rachel McAdams (The Notebook). I'm a sucker for all things romantic and while this looks like a real tearjerker I definitely have to see it! I don't know about you but I think 2012 looks like it's going to be an amaaaaaazing year for movies! *guest post by Michelle Massaro Today it is my pleasure to shine the spotlight on two more amazing women who are both members of the COTT Blog Alliance. Oh. My. Gosh. Have you seen this trailer?! I absolutely love love LOVE The Hunger Games series and I think I'm looking forward to this movie even more than Breaking Dawn. Squee! What do you think? Is this a movie you're going to rush out and see? I know I am! She Walks in Beauty by Siri Mitchell!!!!! About the book: During New York City's Gilded Age... The game is played amid banquets and balls. The prize is a lifetime of wealth and privilege. The rules will test friendships and the desires of a young woman's heart. Clara Carter is the social season's brightest star... but at what cost? I've emailed Jasmyn and she's already claimed her prize. 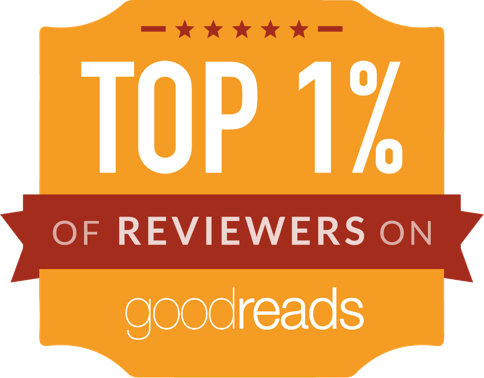 Again, thank you all for entering and happy reading!!! Happy Fall!!! Before I say anything about this book I have to say this if you've followed this series at all you're probably like me and have fallen head over heels for the guys of Nightshade and gone through more than your fair share of tissues. Firethorn, the conclusion to the action-packed Discarded Heroes series is absolutely bittersweet in so many ways that you will want to have the tissues at hand even if you have never cried while reading a book. I can honestly say that Ronie Kendig not only writes the best romantic suspense novels but the most jam-packed, full of emotion stories that you will ever lay your hands on. There's anger, there's fear, there's hatred, there's grief--all the emotions that you might expect from a novel involving spec-ops, spies and terrorism but also hope and love showcasing the strength of the human spirit. Books to Add to Your Christmas Shopping List from Scholastic! If you're like me you LOVE to buy books for people you love for Christmas, luckily Scholastic has made it easier to decide what to buy for the kids and teens in our lives...check out the list below! November 7, 2011 – Get ready for holiday shopping. The children’s book experts from Scholastic Book Clubs and Scholastic Book Fairs have just revealed their picks for what will be the most popular new children’s books for the 2011 holiday season. This go-to list features books for all ages from a variety of authors and publishers to help gift-givers pick the right books for the kids in their lives. I love to read YA fiction and I know a lot of you do too so I thought I'd share the love by giving away an Advance Reading Copy (ARC) giftpack of two books to one lucky winner! Rules: ~Forone entry just leave a comment stating that you want to be entered along with a valid email address (disguised something like this: steelergirl83(at)gmail(dot)com) so I can contact you if you are the winner. If you are a GFC public follower and let me know that you are in your comment you will get 2 extra entries! Winner will have 48 hours to claim their prize after I send the winner email or another winner will be selected. US residents only please. Contest closes to entries November 11, 2011 @ 11:59pm EST. Void where prohibited. Winner drawn using random.org. It's been years since I last read a book by Lauraine Snelling but when I read the cover blurb for her latest novel, Valley of Dreams I knew I had to give this author another try. The world of circuses and Wild West shows have always been fascinating to me so a book with an Annie Oakley heroine and furry yet talented critters promised to be entertaining. I'm sad to say I was a bit disappointed. If you're looking for a Christian Water for Elephants type story you will be as sad as I was that this book was not about a circus or show but rather a girl leaving one to fulfill her deceased father's dream. That said after getting over the initial let down that this wasn't going to be about the Lockwood and Talbot Wild West Show it definitely has potential to be an interesting story. The hopes and dreams of many Americans were crushed following the Civil War and the nation was never the same. Two very different people, one a forger of fine art and the other an attorney looking out for his employer's best interest, cross paths in post-bellum all in the shadow of Belmont Mansion and its mistress. Can two people from different worlds set aside their pasts and look ahead to a future of love or will their lives be crushed by lies and deceptions? A Lasting Impression by Tamera Alexander is truly a work of art. There's nothing I like more than a cowboy hero and Colleen Coble sure knows how to write 'em. With each book in the Lonestar series the characters just keep getting better and better and the romances are sweeter. Whether you're a fan of westerns or not Coble ropes you into life on a Texas ranch, so much so that you don't want to leave as it feels like you're abandoning old friends. There's no such thing as a slow beginning in any of the books of the series including this one. It's almost a guarantee that you will be turning page after page until you get to the end--in one sitting!